I know that the ICC drafts playing conditions for international matches and these conditions can alter the Laws of Cricket. For example, a waist-high full-toss by a spinner is a legitimate delivery as per Laws of Cricket, but, under ICC's playing conditions for international matches, it is a no-ball. So, clearly, ICC's stand here is in contravention with the Laws of game. "ICC frames Playing Conditions from time to time. 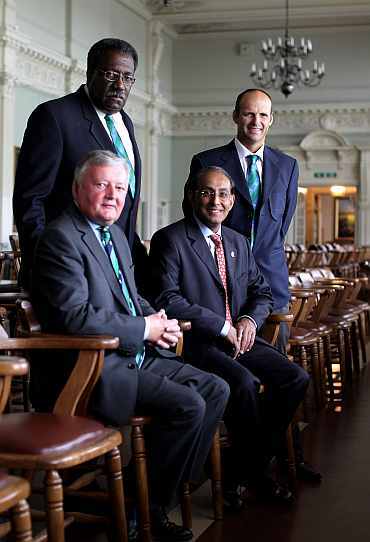 The Playing Conditions are considered and determined initially by the Cricket Committee, which is chaired by a well-known former international captain (at the moment it is Clive Lloyd). The committee consists of a number of persons with international playing or umpiring experience and is representative of current players, past players, coaches, umpires, statisticians, media persons and MCC, who are the guardians of the Laws themselves. The recommendations of Cricket Committee are forwarded to the ICC Chief Executives Committee and then to the Executive Board for final approval. "Whilst there is no restriction on what playing conditions can be introduced for international cricket, the general policy of the ICC is to try, as far as reasonably possible, to ensure that the game that is played at international level is the same game that is played at lower levels. Accordingly, ICC will generally only introduce playing conditions which are necessary to supplement the Laws to make them appropriate for international cricket (e.g. the size of boundaries) and will only introduce playing conditions which in effect amend the Laws in exceptional circumstances and for good reason. Accordingly there are a few playing conditions like the one mentioned in your query, short pitched deliveries, runners and practice on the field which differ from the Laws, hopefully for good reason." Suresh Raina is, in fact, at number four in this list, which is headed by Australia's Mike Whitney. He batted for 49 (7 & 42) balls against England at Manchester in 1981 in collecting his pair. New Zealand's Ian O'Brien took 44 (6 & 38) balls against Australia at Adelaide in 2008-09 for his two ducks, and Bangladesh's Manjural Islam faced 43 (41 & 2) balls against Sri Lanka at Colombo SSC in 2002. It should be noted that 'balls faced' details are not available for all the matches, so there may be an odd case from earlier era that is missed here. 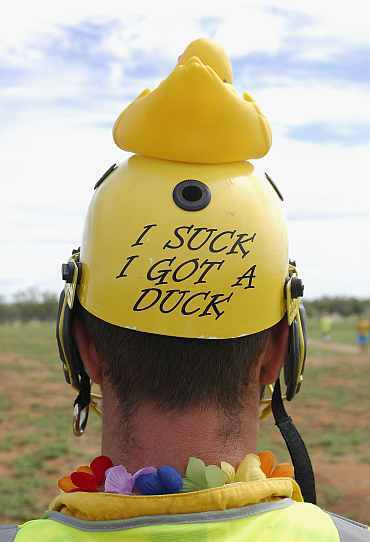 The term 'duck' is a shortening of the term 'duck's egg'. The term was being used long before Test cricket began. When referring to the Prince of Wales's (the future Edward VII) score of nought on 17 July 1866, a contemporary newspaper wrote that the Prince "retired to the royal pavilion on a 'duck's egg' ". The name is believed to come from the shape of the number '0' being similar to that of a duck's egg. The Concise Oxford Dictionary still cites 'duck's egg' as an alternative version of the term. Pakistan's Shahid Afridi is the leading six-hitter in all three forms combined with 367 sixes. He is followed by Sri Lanka's Sanath Jayasuriya (352). India's Sunil Gavaskar and Australia's Ricky Ponting share this record with three instances of scoring centuries in both innings of a Test. Gavaskar's twin centuries came against the West Indies at Port-of-Spain (124 & 220); and at Calcutta (107 & 182*) in 1970-71 and 1978-79 respectively, and against Pakistan at Karachi in 1978-79 (111 & 137). 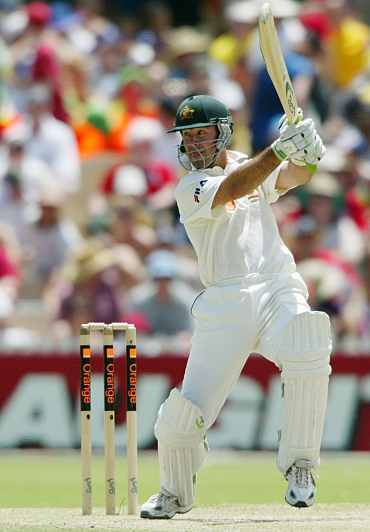 All three of Ponting's twin centuries came in one season -- 2005-06 against West Indies at Brisbane (149 & 104*), and South Africa at Sydney (120 & 143*); and Durban (103 & 116). Nine other batsmen -- England's Herbert Sutcliffe, Australia's Greg Chappell, Allan Border and Matthew Hayden, West Indies' George Headley and Clyde Walcott, India's Rahul Dravid, Sri Lanka's Aravinda de Silva and South Africa's Jacques Kallis -- have scored twin centuries on two occasions each. No, it is not. A hat-trick is considered only when a bowler takes three wickets with three consecutive deliveries. It can be spread over two overs or even from the first innings into the second, but has to be in the same match. Three wickets with three legitimate balls but with a no-ball interrupting the sequence does not count as a hat-trick. What was Tendulkar's Test aggregate when Dravid made his debut? Rahul Dravid made his Test debut in June 1996 against England at Lord's. Up until that time Tendulkar had aggregated 2,629 runs in 57 innings of 39 Tests at an average of 52.58. Since the 1996 Lord's Test, Dravid has aggregated 12,752 runs in 271 innings of 156 Tests for India at an average of 53.36 (his tally does not include one Test he played for ICC World XI). In the same period, Tendulkar has aggregated 12,336 runs in 241 innings of 142 Tests at an average of 57.11. So Dravid has scored 416 runs more than Tendulkar while playing 30 innings more in this period. As of today, Tendulkar's run-tally is 14,965 for India -- 2,213 runs more than Dravid. If we include 23 runs Dravid made in the Super Test for ICC World XI, then this difference becomes 2,190. There are 17 instances in Test cricket when a side declared its first innings and went on to lose the match (This includes the South Africa-England Test at Centurion in 1999-00 where both sides forfeited one innings). The highest such score is Pakistan's 574 for eight against Australia at Melbourne in 1972-73. Batting first, Australia declared their innings at 441 for five. Pakistan replied with 574 for eight. Australia made 425 in their second innings. Chasing a victory target of 293, Pakistan were dismissed for 200, giving Australia victory by 92 runs. There are three other instances of a side declaring its innings for a total of more than 500 and losing the match: England's 551-6 v Australia at Adelaide in 2006-07, Sri Lanka's 547-8 v Australia at Colombo SSC in 1992 and West Indies' 526-7 v England at Port-of-Spain in 1967-68. The catches taken by a player as a substitute are not added to a player's career-tally. They may be listed under a separate category "substitute catches". It does not make any difference whether the concerned player has represented his country or not. The reason behind not crediting catches taken as a substitute to a player's career tally is the problem in dealing with the player's match tally. By simple logic, if we are adding catches taken as a substitute to a player's career tally, then his match tally should also indicate number of matches in which he acted as a substitute. Now, it is very difficult to keep track of all such instances. 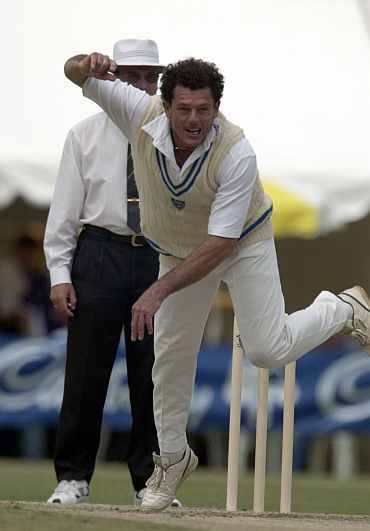 There may be many occasions when a player acted as a substitute without taking any catch. This will make compiling the basic stuff like career figures very tedious one. Moreover, there will not be any uniformity among the statisticians, thus creating chaos all around. Another problem is to deal with a player who has taken a catch as a substitute, but has not made any official appearance. Now such a player cannot be included in the list of the players having officially appeared for a country in that particular form. If we do so, it will give wrong information. This is why the substitute catches are always dealt with separately. Any special performances are recorded in the footnote in the reference books. I assume that your query is about the whole career span and not in any particular Test, otherwise the list will run into many pages. It's very recently that scorecards have started showing fielders effecting the run-outs. Such information is not available for the matches from earlier era. If we remove that condition from your query, we are left with 22 players, who fulfil your criteria. However, 21 of them either batted or bowled in the match without scoring a run or taking a wicket. England's John Crawford William ('Jack') MacBryan remains the only Test cricketer who did not bat, bowl or dismiss anyone in the field. 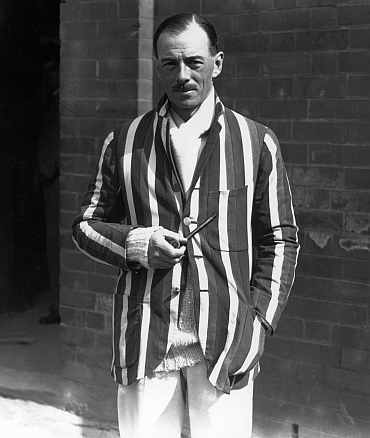 MacBryan was selected in the England team for the Manchester Test against South Africa in 1924. Only 66.5 overs' play was possible in this three-day Test. South Africa batted first and MacBryan spent all 165 minutes on the field, without bowling a ball or catching anyone. He did not get a chance to make another Test appearance.